SHOP OF POSSIBILITIES: differencEngine: Who is Mr White? differencEngine: Who is Mr White? diferencEngine tell stories. Not in the traditional sense though. You're not quite sure whether the start has started, the middle bit goes in every direction and back again, and the ending rests on those who have chosen to get involved. They create immersive experiences using technology and storytelling, it is a bit like being in a game. 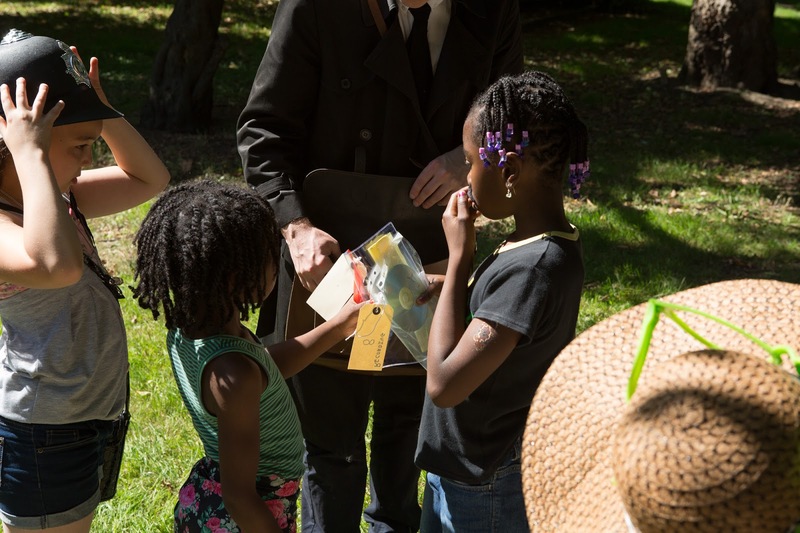 We felt that children who attend Play Local and The Shop of Possibilities would enjoy a bit of fantasy and imagination, so we welcomed the mysterious Mr Grey and Andrew to Sceaux Gardens estate for a bit of detective work fun. A group of young detectives are recruited and Andrew checks them to make sure that they are not working for the evil Mr White. After completing the first mission, the children are awarded a spy moustache, they are now in disguise and are ready for the second part of their mission. The second part of the mission is to find all of the items Mr White had stolen and hidden around the estate. Recordings, drawings, letters were amongst the finds. At the end of the day the children gather to hear whether they have succeeded in stopping Mr White's evil plans. Mr White was defeated! But for how long...? 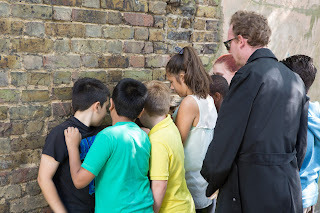 This type of experience was certainly an experiment for us and for the Play Local project and we didn't expect the children to react so strongly to the story. They were all captivated by the idea of secret spies on Sceaux Gardens, so much so that these ideas filtered into their play even when they weren't directly interacting with the activity. It was set up to be drop in, allowing for more fleeting moments of interaction, however on the day the children were so excited by the story that they stuck with it from start to finish, spending a lot of time collecting clues, dressing up in various disguises, listening to and re-listening to all the recordings and broadcasts, and debating amongst themselves whether Mr Grey and Andrew were the 'goodies' or 'baddies'.